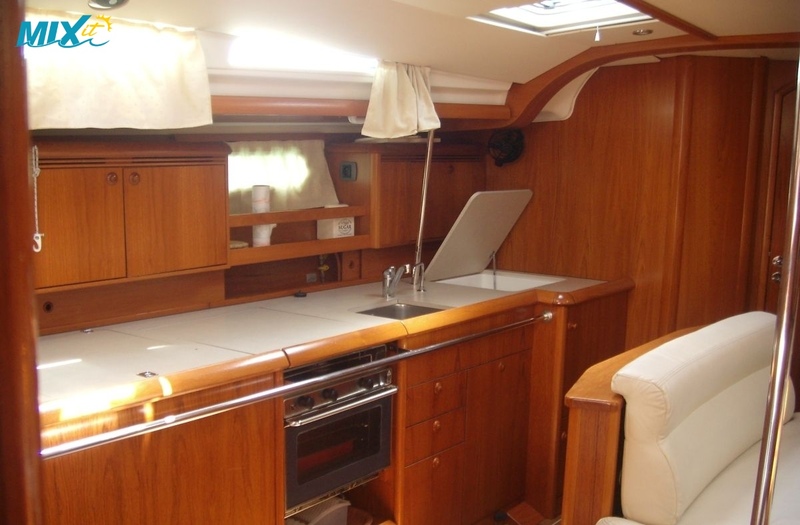 This beautiful Sun Odyssey 49DS is great for the larger group requiring a touch of luxury with 4 large double Cabins with 4 toilet/shower. 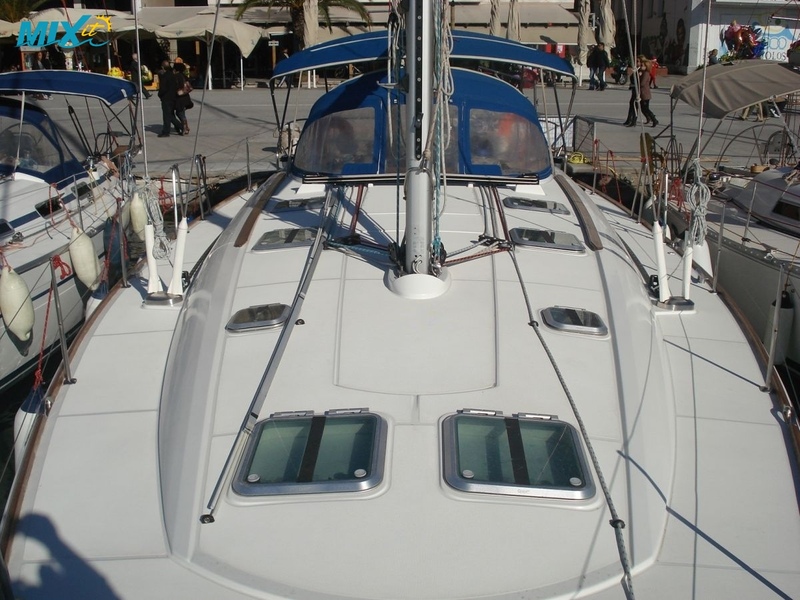 This yacht will comfortably sleep 8 with 2 in the saloon or the 2 front cabins can be converted to1 large cabin if required. 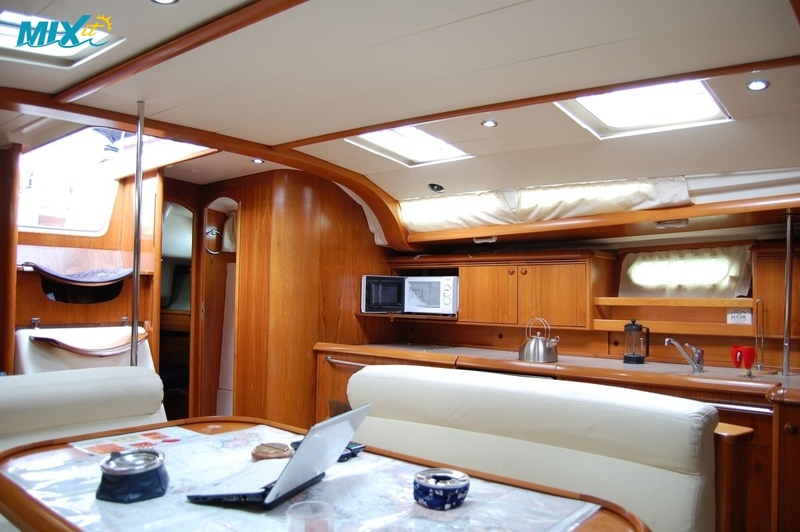 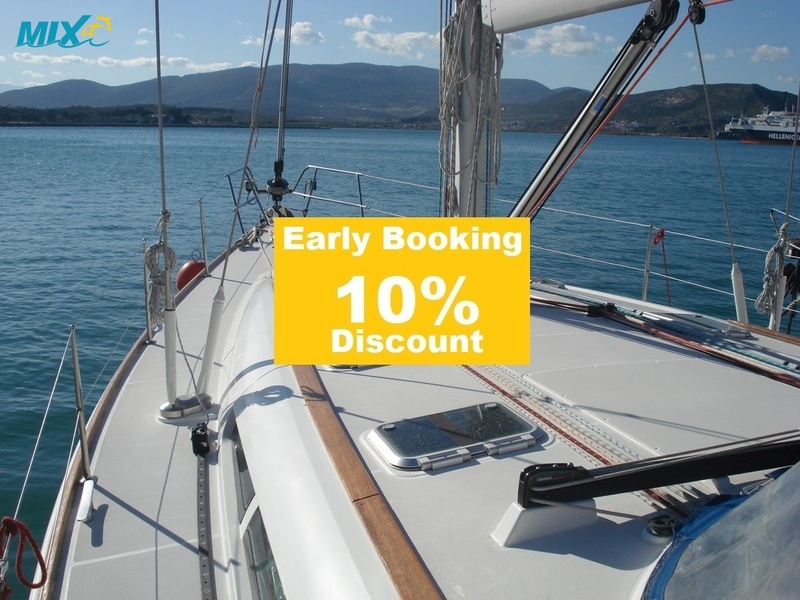 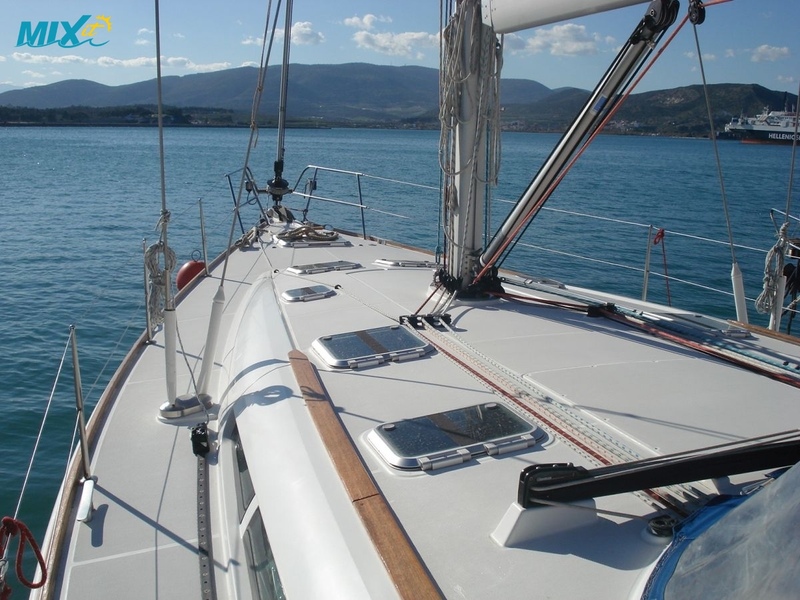 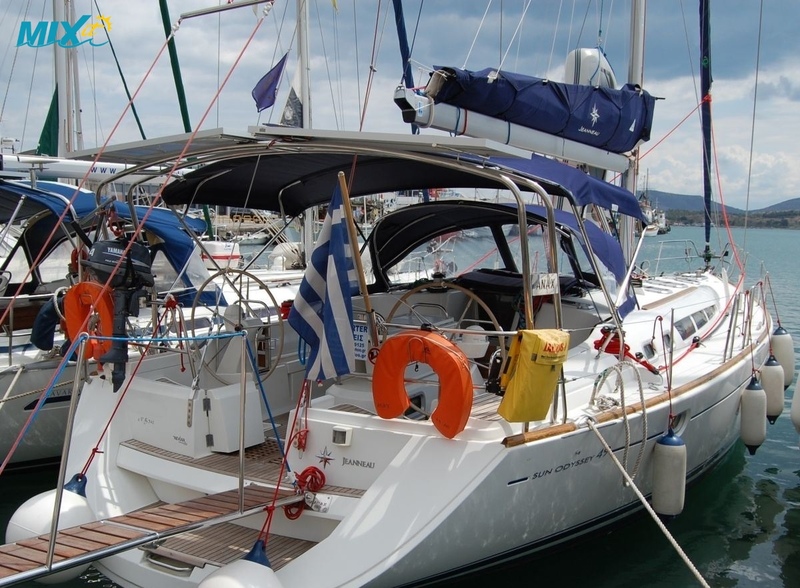 The saloon is spacious and comfortable and has a fully equipped galley area to port and nav station to starboard. 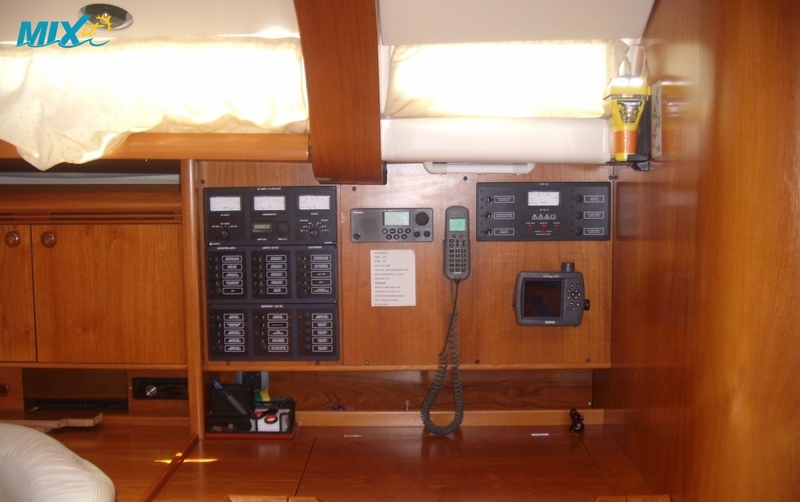 The 2 double aft cabins are close to the rear bathrooms and the 2 double forward cabins are en-suite. 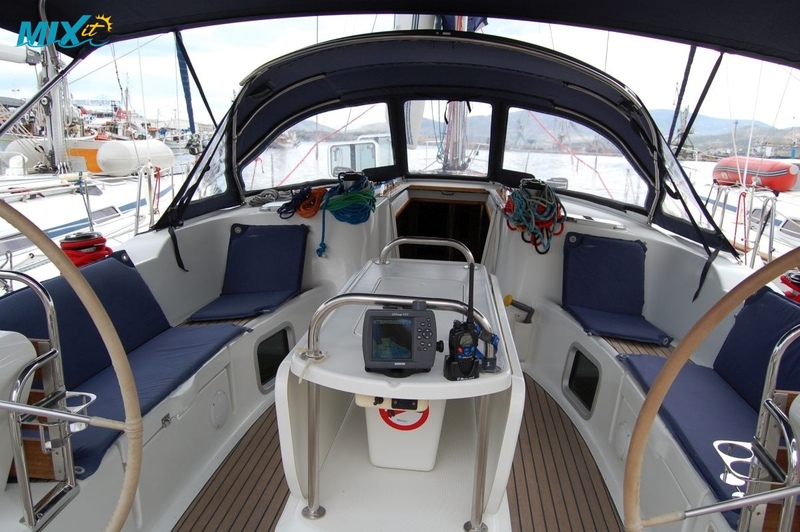 The cockpit is wide and spacious with two steering wheels and well laid out for easy sail management, with a full batten main providing extra performance and the large bimini top and spray hood providing good cockpit cover.